Becca's Book Affair: Fire In the Woods by Jennifer M. Eaton Blog Tour and Giveaway!! Fire In the Woods by Jennifer M. Eaton Blog Tour and Giveaway!! Thanks for joining me on my stop of the Fire in the Woods tour! I hope you have been enjoying the tour so far and hop over to the other stops for great reviews and more chances for fun and prizes! Don't forget to pick up your copy of Fire in the Woods and let me know what you thought of it! The Cover: What a great cover to this one. A silhouette of a man against a backdrop of woods and a fire. There's a beautiful starry sky overhead. All around, a very promising cover. The Plot: What an amazing and unique story. I have never read anything quite like Fire in the Woods. A very well written adventure sci-fi, it tells a tale of visitors to Earth. Jennifer M. Eaton has created an fascinating species and I can not wait to read more about them. There was one point, I found about 1/2 way through the story where it seemed to bottom out and I was a little afraid that I was done, but after about 7-10 pages, it picked right back up and I was not disappointed. The Characters: All the characters were very well done, with lots and lots of details to make you either love them or hate them. I liked Jess right away. Typically confused teenager, but relateable. She also totally seemed the type to help someone in need. Daniel seemed kinda strange; I really didn't like him at first, but he grew on me. But Jess' best friend, Maggie totally stole the show. I loved her character. So funny and you could tell she loved Jess and would help any way she could. Is it Worth Reading? : I did enjoy Fire in the Sky, but to be honest, I found the romance aspect between Daniel and Jess to be a little forced. I think just being thrown together for a few days, running from the military might make you fall in love with someone, but there were so many unknowns about him and he had never experienced anything like romance. I think it just seemed rushed. Maybe in forthcoming books, when they get to know each other a little more, it might work. 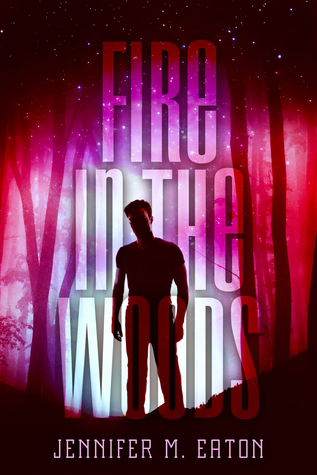 Altogether though, it was a great story and I look forward to the next book and recommend Fire in the Woods to readers of YA sci-fi and give it 4 out of 5 crossbows! Hiding him in her room probably isn't the best idea. Especially since her Dad is in charge of the squadron searching for David. That doesn't mean she won’t do it. It just means she can’t get caught. Again, thanks for joining me today! And thanks to Month9Books and Jennifer M. Eaton for sharing a great book!! 4 for Friday Blitz from Month9Books! !